“Doujinshi” (同人誌) is Japanese for fan-created, self-published comics, magazines, and novels. While Japan has strict copyright laws, doujinshi tend to get a free pass and flourish. A new trade agreement could change that forever. Doujinshi is a proving ground for new artists, who can create a name for themselves through their self-published works and make the leap from amateur to pro. 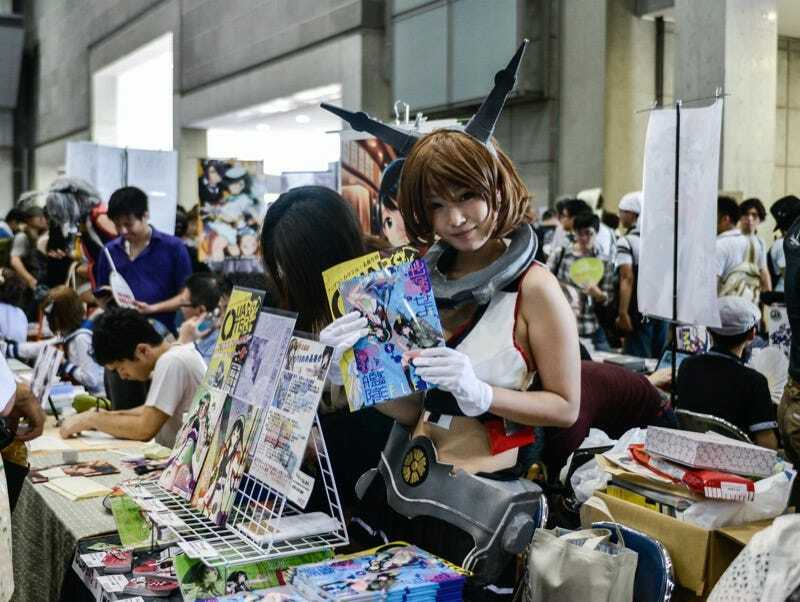 The country’s biggest geek event, Comiket, is centered around doujinshi. Fans line up to buy independently produced parodies of famous manga and starring popular characters. Copyright holders typically turn a blind eye to doujinshi, knowing it’s where future manga artists often get their start. But under the Trans-Pacific Partnership (TPP), that still might not stop the police from going after doujinshi creators for violating copyright law. TPP is proposed trade deal with twelve countries possibly participating, including the U.S., Canada, Mexico, Japan, South Korea, Taiwan, the Philippines, Thailand, Australia, and Colombia, among others. China is currently not part of the TPP negotiations. As The Yomiuri Shimbun explains, current Japanese copyright law dictates that violations can only be investigated once the copyright holder files a complaint. No complaint means no investigation. TPP, however, aims to streamline the process so that the copyright holder does not have to file. A third party can report copyright violations. The reason, The Yomiuri Shimbun notes, is that U.S. companies often experience copyright violations and this TPP provision would combat those. According to The Yomiuri Shimbun, a person involved in the TPP negotiations said that the copyright provision will allow for a degree of parody.